Accredited in Germany and Spain. Mr. Christian Gerboth is specialized in Real Estate, Inheritance and Corporate Law. Besides that he has a vast experience in Real Estate sales and purchases, and offers full support for companies. 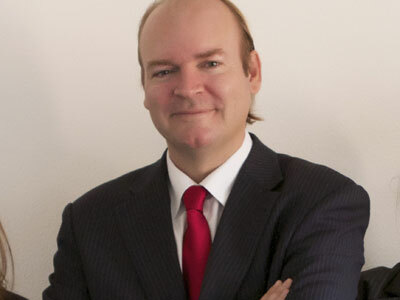 He has been working in Spain since 1999 and was one of the founding partners of the law firm ETL Majorca where he has been practicing law from until 2012 when he founded the law firm ELP Majorca Lawyers. President of the European Association of Entrepreneurs – AEEM and member of the German-Spanish Lawyers Association. Author of numerous articles onSpanish law and Co-Author of the manual on Private Property in editorial Stollfuss, in which he wrote a a chapter about Spanish law. Correspondence Languages: German, Spanish, English and French.